Being a tropical country, Filipinos have always been a big fan of summer. Going to the beach, flying out of the country for cold weather or even going to the mall and looking for a place to eat and drink to quench our thirst– these are the activities that each one of us usually crave for to beat the heat this summer. 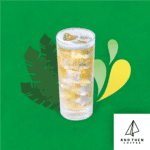 That is why GrabFood is bringing Refresh by GrabFood— a month-long pop-up store that boasts the following freshly-picked merchants offering delightful drinks that will surely satisfy everyone’s craving all in one spot! 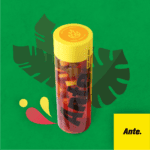 First from our list is Ante., not only known for their marketing promotion that’s street fashion-inspired that caught every millenial’s attention, Ante. 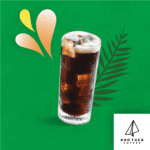 is also known for their freshly-brewed fruit teas such as Ultralight Green, Blacker Berry, and Sunday Candy. Next is And Then Coffee. 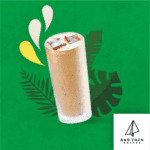 Originally located at Production Village in Makati City, this coffee shop carries Nitro Latte, Nitro Tea, and Nitro Black– all rich and smooth to get you going all through the day! 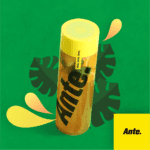 Third from our list and definitely you’ve been waiting for is (*coughs* milk tea! 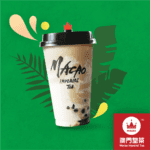 *coughs*) Macao Imperial Tea. 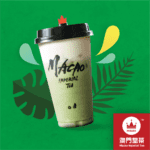 Famous for their Cream Cheese line, Macao Imperial Tea completes our list and will offer some of their famous drinks such as Cream Cheese Uji Matcha, Cream Cheese Cocoa and Cheesecake & Pearl Milk Tea. Offline: We’d love to see you! Come and visit Refresh by GrabFood and place your order thru our dedicated digital ordering kiosk. With the digital ordering kiosk, merchants are notified digitally so they can take and prepare orders. Online: If you’re just around the corner but a little busy to drop by, don’t worry..we got you! 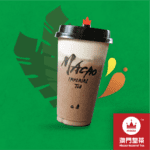 You may use your Grab app to *order. Go to the GrabFood section. Go to the Search for a dish or restaurant search box and type Refresh by GrabFood. 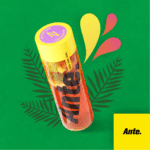 Input your orders and click Place Order. Wait for a GrabFood rider to accept your booking and deliver your cravings! More ways to have fun this summer! 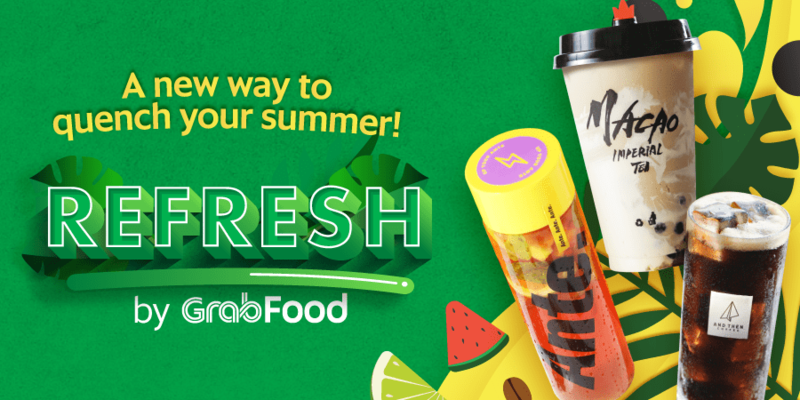 Redeem special GrabFood merchandise using your GrabRewards points when you visit the pop-up store. *Only GrabFood customers within 3 KM radius from Refresh by GrabFood may order from the pop-up store.